gratitude | Who Says Healthy Food Ain't Fun!! On the 1st of January, I started this online event – “30 Days of Gratitude”. (https://www.facebook.com/events/798071456931339/) It is Day 8 today. We started by thanking special people in our lives – family-friends and today the theme is food. Food is an integral part of our life. We eat every day. Through our ups – downs, we may choose different foods, but we do eat something. Yes, later it is possible we go on a guilt trip about what we ate, but in that moment, when we were eating – and that particular Food gave us comfort, love and security. Technically speaking food is simply matter with various proportions of carbohydrates, proteins, fats, vitamins, and minerals. On a regular day – we do make our choices based on awareness of the goodness of the food in our plate. But in most traditions we pray or say Grace before we eat. Traditionally it was a way of purifying the food. Sending it positive energy. We would say thank you for the Food and to the Food. What are we really thanking? The practice of saying a simple Thank you connects us to the food we eat, the people we share it with and the world that has supported and nurtured us with nourishment. Most of us are too lazy or in a rush to take time to say thank you before we eat. But a small thank you said from the bottom of your heart is a great thing. Before you start eating – just for a moment pause – close your eyes, take a deep breath and just say a thank you. You will be amazed at how aware you become of your NOW in that moment. 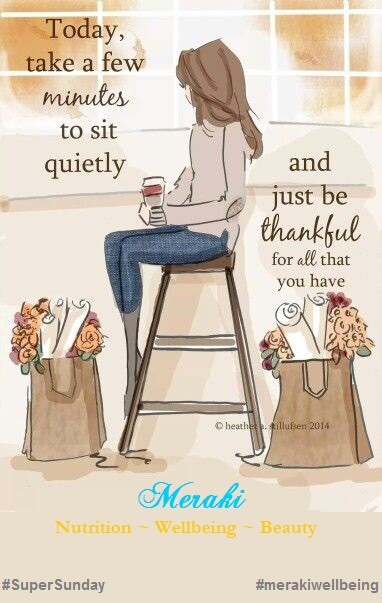 Try this for a week before every meal – just say a quiet thank you in your mind. Would love to hear about your experience. Happy, Blessed and Blissful Eating!